EXPEDITED ASSESSMENT - TRIAD - BJAAM Environmental Inc.
BJAAM has pioneered a Corrective Actions procedure with the approval of several state UST agencies that reduces the time required to receive a No Further Action (NFA) status and reduces the overall project costs. During the development of this initiative, BJAAM created a streamlined process that allows for expedited corrective actions that produce immediate results. In most instances, the traditional UST corrective action process can take several years to complete. This is due to the ever-evolving laws and regulations governing UST corrective action and the required State review and approval of the numerous program tasks. Consequently, the costs associated with UST corrective action can accrue over time, resulting in tremendous cost and repetitive site assessment work without a definitive NFA decision from the State regarding your site. 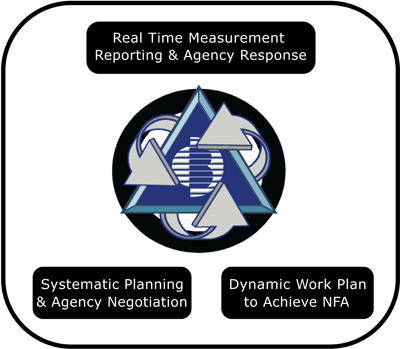 BJAAM has developed the TRIAD approach to achieve immediate results and provide closure for all stakeholders in just a few weeks. Fully-equipped mobile office with complete electronic communication and data presentation and reporting capabilities. Onsite mobile laboratory providing real-time analytical results. Electronic workspace accessible by clients, regulators, and the project team for real-time data review, document review and storage, and interactive project discussion boards for all stakeholders. State-of-the-art data collection equipment including GeoProbe direct-push and pre-pack monitoring well technology. Dedicated project management staff consisting of risk assessors, modelers, remediation specialists, and technicians. Immediate access to mobile remediation units, free product recovery equipment, excavation/transport and disposal equipment, demolition and construction services. 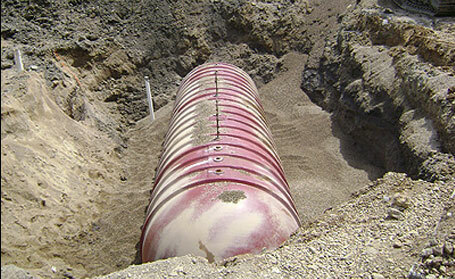 Uncertainties associated with environmental remediation can be significant. An open petroleum release can decrease the value of your asset, complicate the transaction process, and create long-term core business interference. Traditional environmental Due Diligence performed at UST sites is aimed at identifying potential environmental issues, but creates uncertainty regarding the cost and time associated with a petroleum clean-up. Investigating, reporting, and remediating under traditional UST corrective actions can often take years to resolve. The TRIAD approach eliminates the uncertainty for all stakeholders, including buyer/seller, lender, developer, and the State agency. The result is a complete data set collected under an expedited time-frame, giving all stakeholders the certainty to move towards NFA as quickly as possible. The TRIAD approach drastically reduces future potential liability, site development, and operation issues associated with open petroleum incidents. 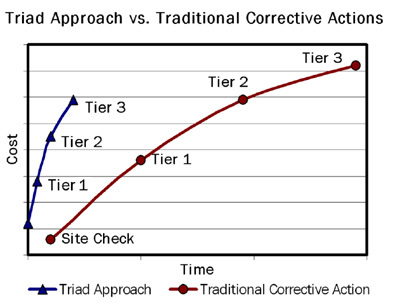 The TRIAD approach is a cost-effective, time-saving corrective action option whose benefits are fully realized when simultaneously completed with core business and/or development decisions. BJAAM has successfully completed several TRIAD projects in Ohio and surrounding states for clients at sites where expedited corrective action work has been integrated with business objectives. In a property transaction process, the TRIAD approach allows the buyer and seller to negotiate a purchase price in a clear and conside manner knowing that the cost of the envionmental clean-up and fugure liabilities have been established. Eliminating environmental liabilities and long-term corrective action work allows you to focus on your core business and minimizes business interference at your locations.